Economic strength. The European Union, with its 27 member nations and a half billion people, has become the largest, wealthiest trading bloc in the world, producing nearly a third of the world’s economy – nearly as large as the U.S. and China combined. Europe has more Fortune 500 companies than either the US, China or Japan. Better health care. European nations are rated by the World Health Organization as having the best health care systems in the world. Yet they spend far less than the United States for universal coverage, even as U.S. health care is ranked 37th -- just ahead of Cuba and Kuwait. Real family values. Europe has figured out how to harness capitalism’s tremendous wealth-creating capacity so that its benefits are broadly shared. Hardly a "welfare state," Europe's "social capitalism" is an ingenious “workfare” framework that better supports families and individuals to help them stay healthy and productive during a time of rising inequality and economic crisis. Readying for global warming. Europe is leading in preparing for global warming, with widespread deployment of renewable energy technologies like solar and wind power, conservation and “green design,” creating hundreds of thousands of new jobs in the process. Consequently, Europe’s ecological “footprint” (the amount of the earth’s capacity that a population consumes) is about half that of the United States for the same standard of living. Robust democracy. After centuries of kings and dictators, Europe has forged political institutions and electoral methods that have produced the most advanced representative democracies in the world, fostering inclusiveness, participation, consensus, multiparty representation and policy based on broad public support. Innovative foreign policy. Europe is transforming our very notions of “effective power.” With America’s “hard power” suffering setbacks, Europe’s “smart power” -- based on regional networks of nations and Europe’s own Marshall Plan for development -- has produced a “Eurosphere” with some 2 billion people – one third of the world – linked by trade, aid and investment to the European Union. 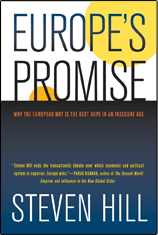 Over a 10-year period, author Steven Hill traveled back and forth to Europe to understand and research this unique European Way. 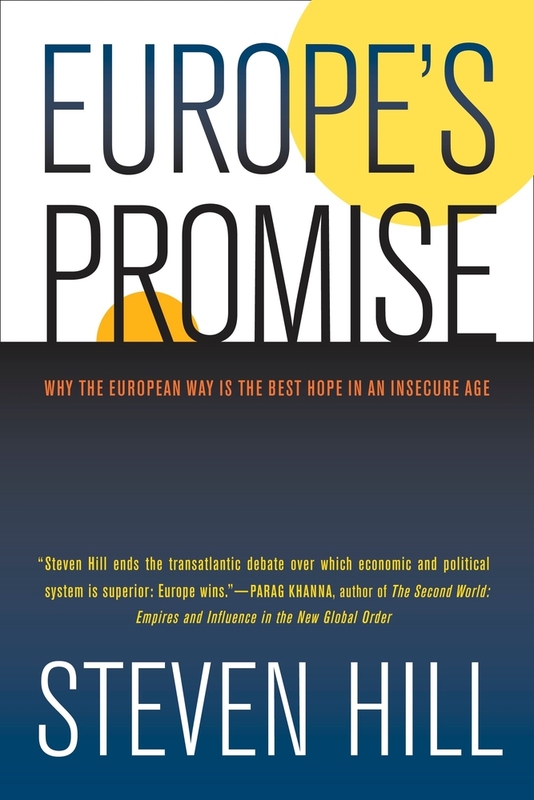 In Europe’s Promise, Hill chronicles and illuminates for his readers a European revolution that is proposing a bold new vision at a crucial juncture in global affairs.